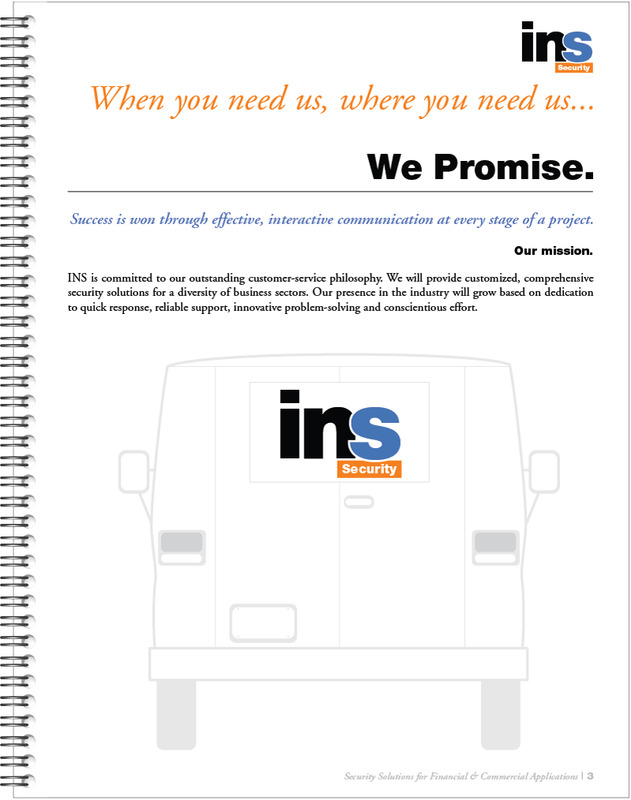 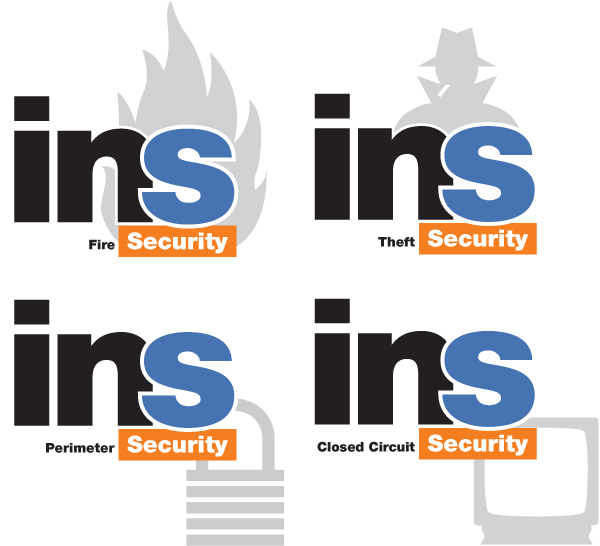 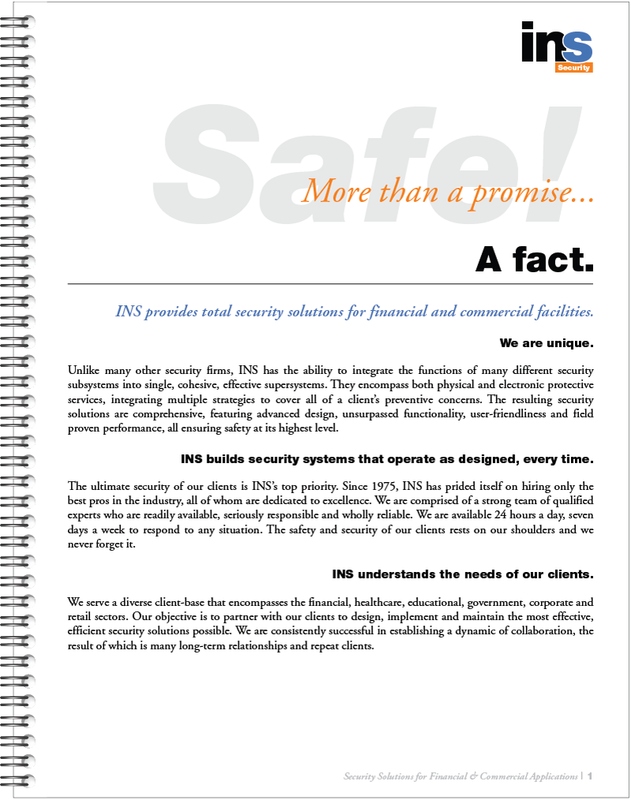 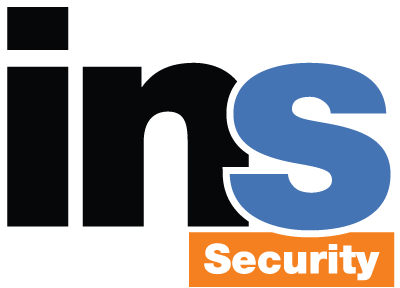 INS Security is a company that has been around for decades. 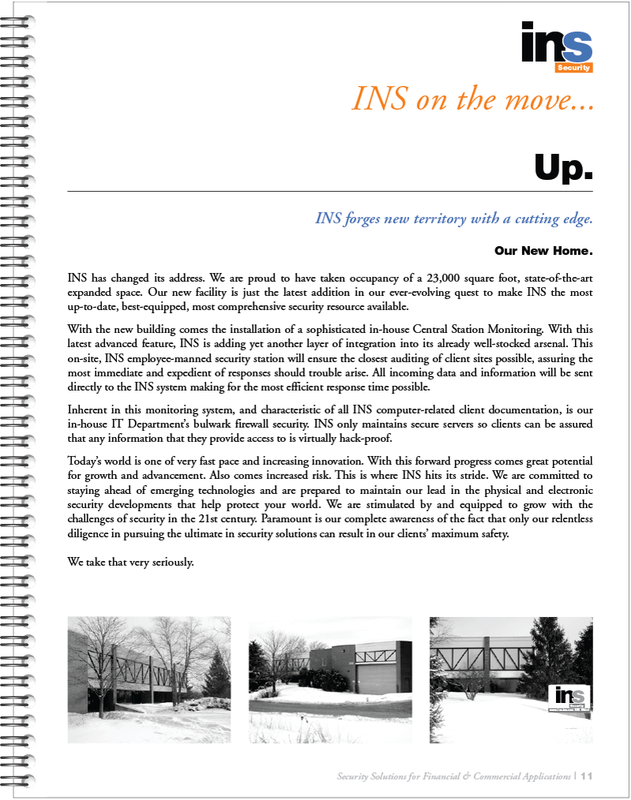 When it underwent reorganization, the new owner sought to breathe fresh life into its stale identity. 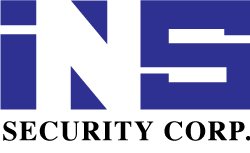 Not wanting to significantly deviate away from the established 3-letter monogram, it was decided to update the font and colors and go with a more contemporary "superhero" aesthetic. 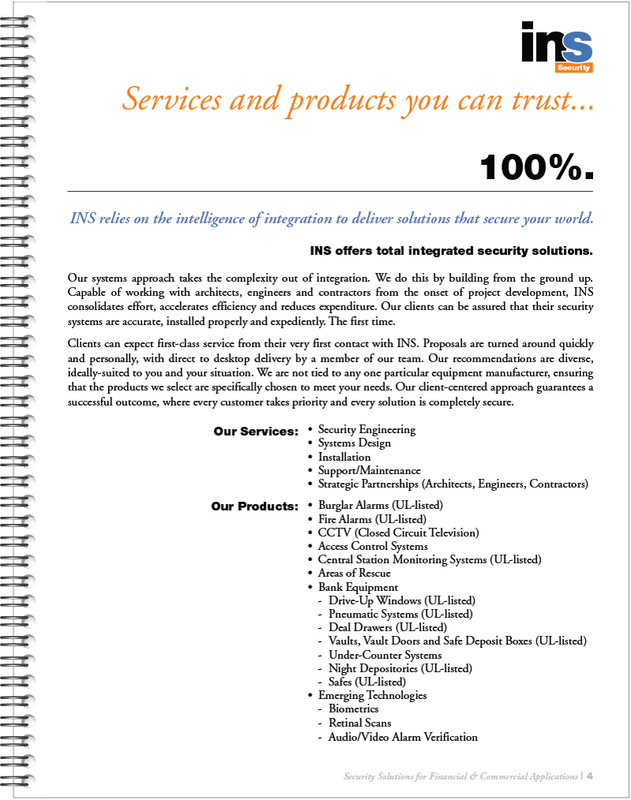 The new mark was designed to be flexible, so as to be able to individually brand the company's many categorized services. 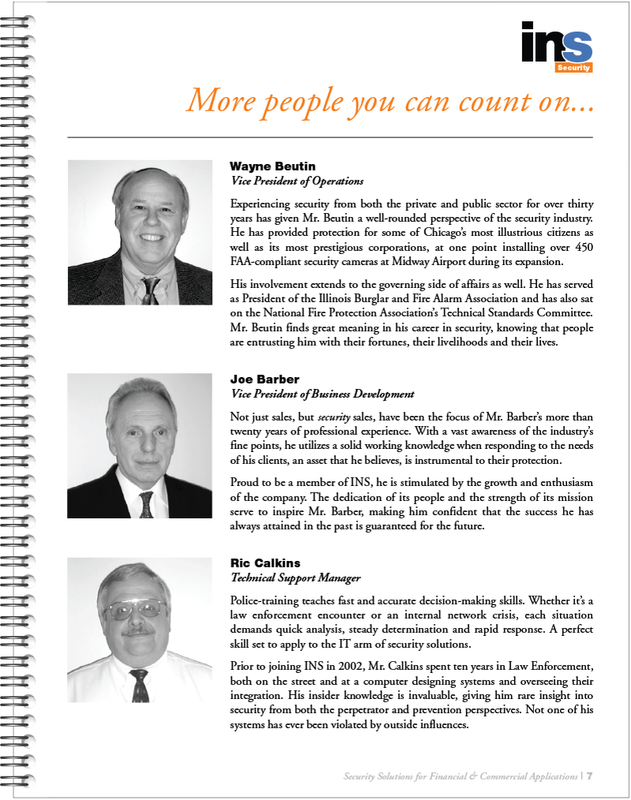 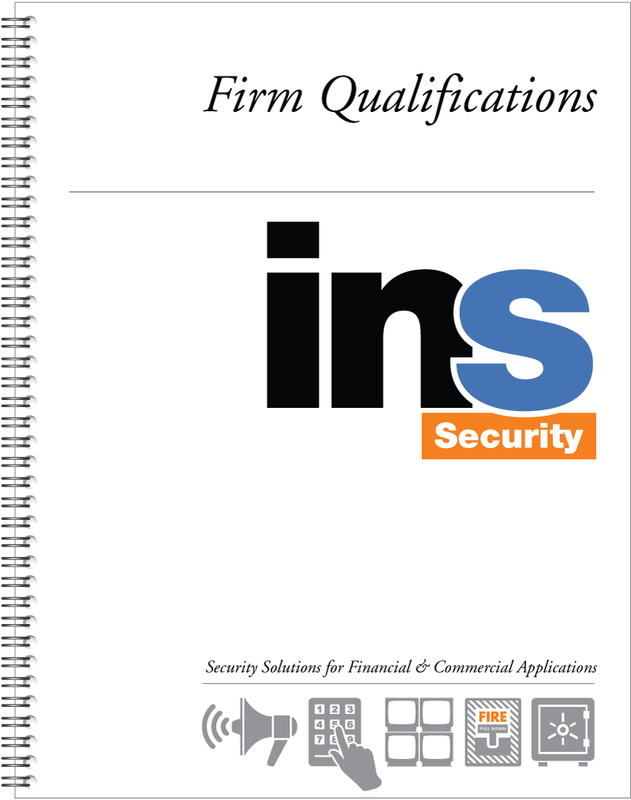 A coordinating qualifications book was also developed for distribution to new clients. 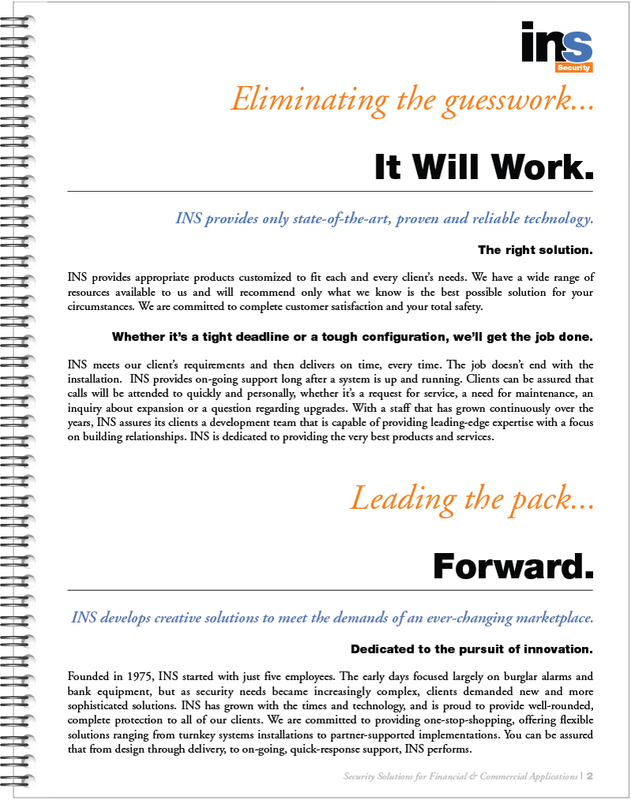 I was responsible for the book in its entirety, from concept, to content development to copywriting to layout. 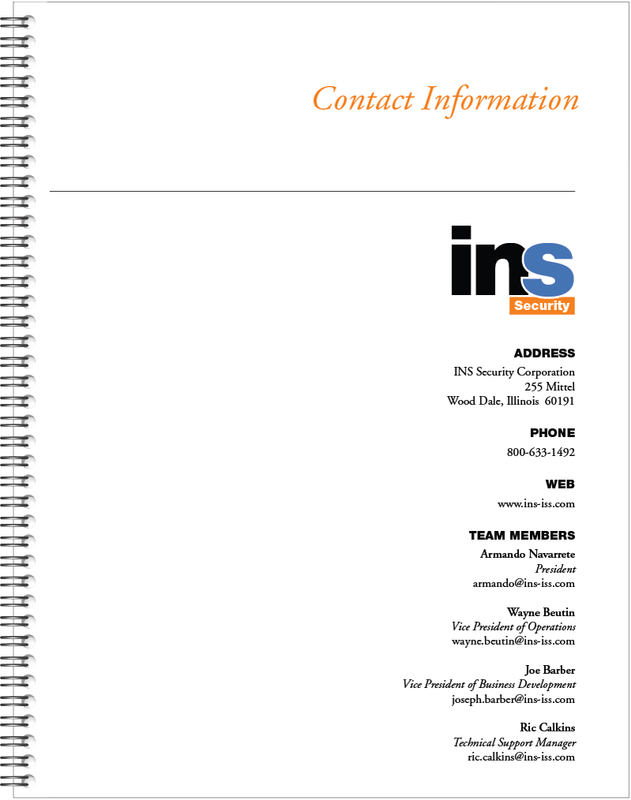 The book is spiral-bound so that it is easily customizable for client-specific presentations. 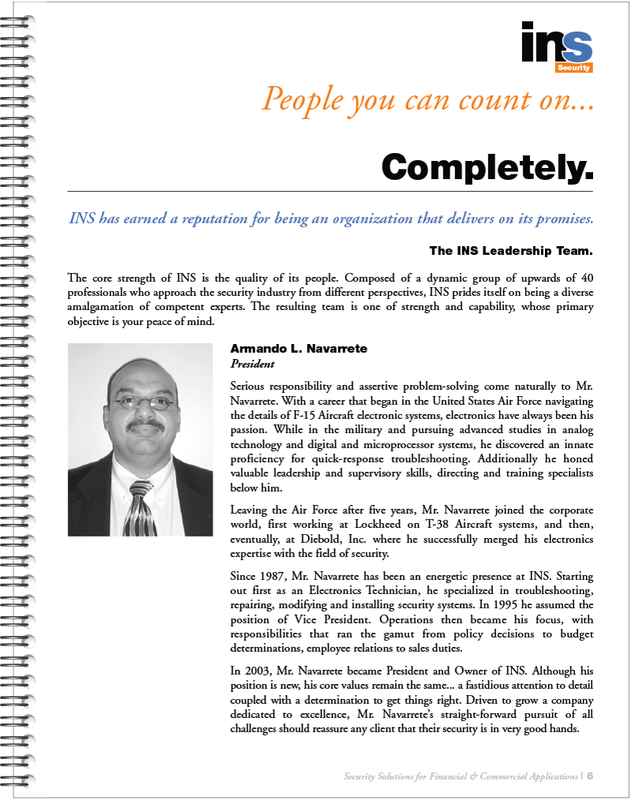 Coordinating electronic templates enable employees to compose and bind in original cover letters, estimates, technical specifications, etc.